As low as $0.44 each. 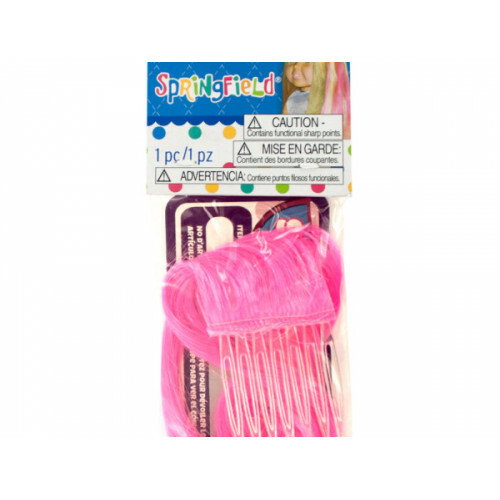 Create a fun look for your doll with this Springfield Hot Pink Doll Hair Extension featuring a vibrant pink hair extension with a plastic comb attachment. Fits 18" dolls. For ages 4 and up. Comes packaged in a poly bag with a header card.